This version overhauled the main menu. The page flythru.space now leads directly to the game, instead of a blog about the development process, which has now been moved here. The largest change you'll see is the new UI of the start screen. It has been almost entirely redesigned to look more modern and pleasing to the eye. 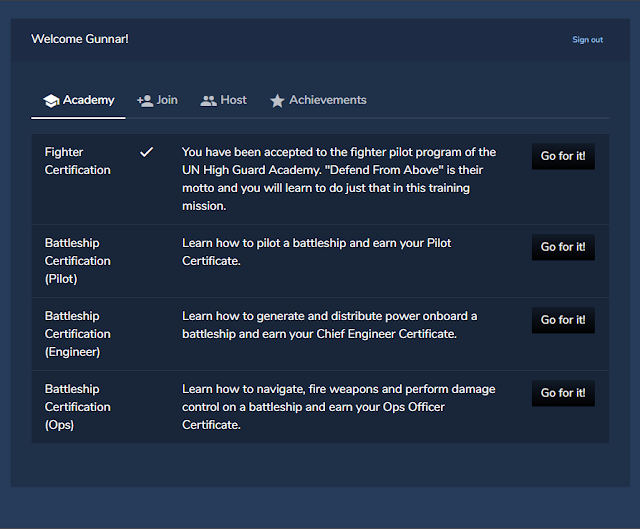 The starting screen is now the 'Academy', a menu that holds all the training missions in one place, and makes it easier than ever to get started. 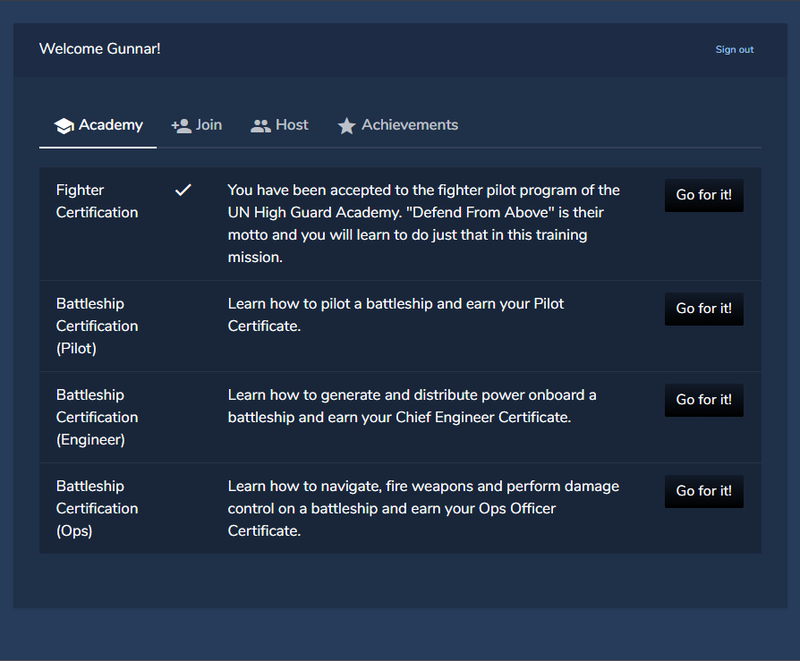 The menu that shows all the active games is now under the 'Join' tab next to the Academy, and will allow you to join games just as easily as before. Additionally, the game creator has been moved to its own tab under 'Host', where you can customize mission parameters and ship configurations before starting.